Offering healing Ayurvedic skincare products to Mumbai, Kama Ayurveda has opened its first outlet in the commercial hub of beauty & wellness, aiming to spread presence with four more by 2015 year end. 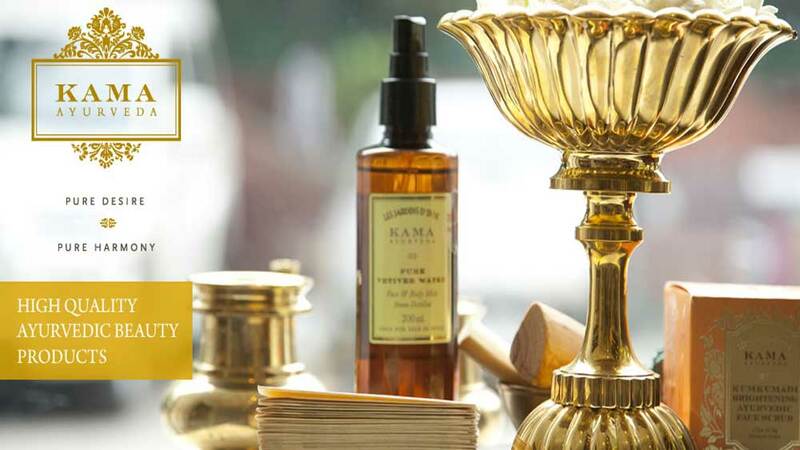 Featuring the Indian traditional practice of Ayurveda, organic and natural products’ renowned brand Kama Ayurveda has opened its first store in Mumbai. Designed in collaboration with Rajat Sodhi of Orproject, the store is exclusively embellished with unique décor of Jalousie shutters, chequer board marble flooring, teak and rattan cabinetry along with finial topped brass shelving. “Kama Ayurveda has managed to gain immense popularity since its inception in 2002. Opening up in Mumbai – a fashion and lifestyle destination of the country - is all the more special and I am delighted we managed to do this in 2015. The city caters to a varied segment of society, and Mumbaikars have a natural penchant towards organic and wellness food. They believe in a healthy virtue of living, and with Kama Ayurveda, now they can experience the whole new meaning of ‘Pure and Authentic’ Ayurvedic remedies, closer to the home,” said Vivek Sahni, Co-founder and Director, Kama Ayurveda. Inspired by the sophistication and glamour of early 20th century’s Indian interiors, the Kama Ayurveda stores are conceptualized by Dave Chang and Vivek Sahni of the brand. These stores are claimed to be calm and well-appointed spaces that present the definitive environment for Ayurveda in the 21st century. The brand is planning to open four more stores by the end of running year, to establish a niche for itself in potent Mumbai market. “This is our first store and we have plans to open many more in the city, to cater to the large segment. In fact we will be opening very soon at the international airport and two more by end of August this year,” unveiled Sahni. The store showcases a wide range of products made up of magical Ayurvedic herbs and are enriched with rare ingredients like Kumkumadi miraculous beauty fluid, Bringadi intensive hair treatment, pure rosewater and rejuvenating and brightening Ayurvedic night cream among others.